Einstein woud be happy! Einstein wäre glücklich! 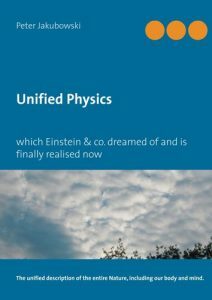 "Unified Physics; which Einstein & co. dreamed of and is finally realised now"
is available now (by amazon.de). Note the additional references to the book "Unified Physics" because of the closing of the Open-Science-Academy website.